Healing the heart: sacred cacao ceremony & sound bath! Raw ceremonial grade cacao has been used for centuries to unlock euphoric states, release emotional stresses, and allow us to connect to pure heart energy. Utilizing cacao or plant medicine, we will journey deep into our heart space with chanting, sound healing and deep meditation. This is suitable for ANYONE & EVERYONE. We are offering three ceremonies: Tuesday 12/3, Wednesday 13/3 and Thursday 14/3. Pre-booking is required. A 50% non refundable deposit is required to confirm your booking. All sessions start at 7pm and last for 3 hours. Don Roberto; a medical anthropologist and shamanic facilitator & Cherine Samir; a sound therapy practitioner. Cacao ceremonies have actually been around for thousands of years, originating all the way back to Mayan and Aztec traditions in Central and South America, used for spiritual, medicinal and ceremonial purposes for inner awakening and creative guidance. 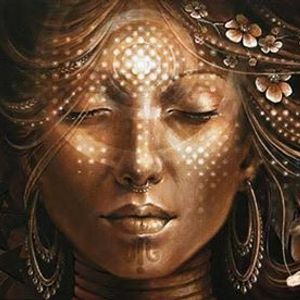 Pure cacao is used as a heart opening medicine for people to safely experience awakening, revelation and inner healing. WHY IS CACAO USED IN A CEREMONY? 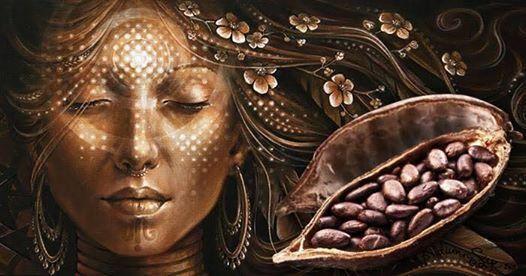 Cacao ceremonies are a type of shamanic healing – which is one of the oldest holistic healing practices used by indigenous cultures all over the world. These types of healing ceremonies work with rebalancing energies in the body to regain health. Cacao is used to gently touch your heart and to guide you into an inner journey deep into the emotional center of our body – our heart (Anahata) chakra. Healing the heart: sacred cacao ceremony &amp; sound bath!